Drimo is the perfect template for a startup idea or app. Want to show visitors on investors the best part of your product in the shortest time possible? Drimo is just what you need! Use one of the multiple homepage templates that will get everything across in a single page! Perfectly attuned for the fast and rushing world of the 21st century! 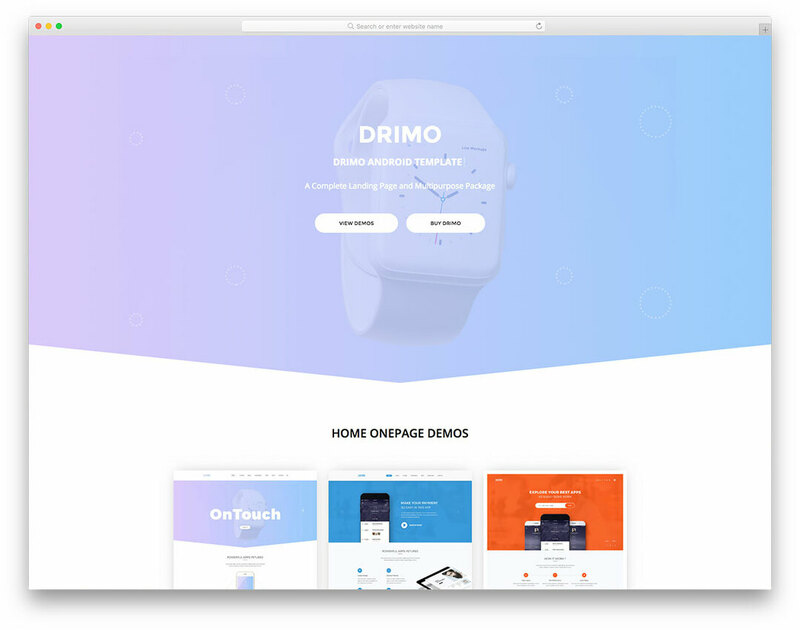 Drimo provides a dynamic, well-animated page that fits and improves upon the current trend of single page websites and landing pages. With Drimo, you will always look your best.